Home Sponsored Content Ramat Givat Zeev is expanding and now features 40 additional housing units. Ramat Givat Zeev is expanding and now features 40 additional housing units. The finest neighborhood built in the last decade for new immigrants is expanding. Construction of two additional buildings, containing 40 new housing units, has been approved and, when at full capacity, will now be able to house 500 families. The neighborhood of Ramat Givat Zeev, where hundreds of families have already settled, enjoys the highest living standards in Israel and beyond: beautiful parks, tennis courts, sports venues and Mikveh here are some the most luxurious in the country. Moreover, new schools are being set up in the neighborhood by the Ministry of Education with a huge budget of over 25 million shekels. More than 400 housing units have already been sold, half of them to families from the United States. The Givat Zeev neighborhood has fulfilled their dreams and enabled them to make Aliyah thanks to the convenient conditions provided by the Kass Group which has experience working with residents from the Five Towns, Monsey, and Los Angeles communities. 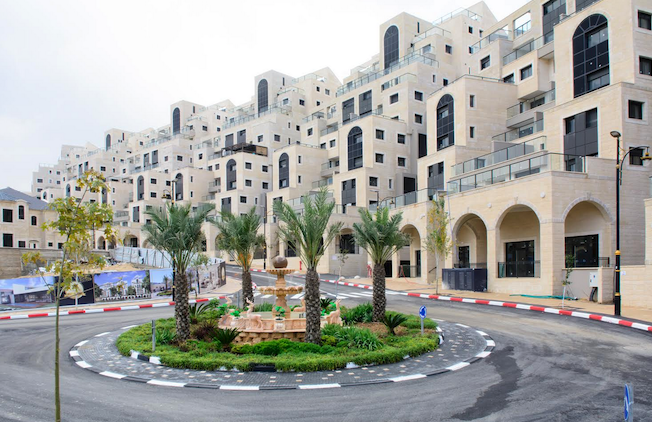 Many new residents were pleasantly surprised by the high level of neighborhood’s buildings and amenities, as well as by the special connection and warm atmosphere shared by the new community that is Ramat Givat Zeev. There’s about 30 full timers or so.